SANDAKAN: A critically endangered orangutan with gunshot wounds was found dead in the Kinabatangan River on Tuesday. Three gun pellets were discovered inside the female Orang utan’s body and a post-mortem revealed she had died from massive internal bleeding. 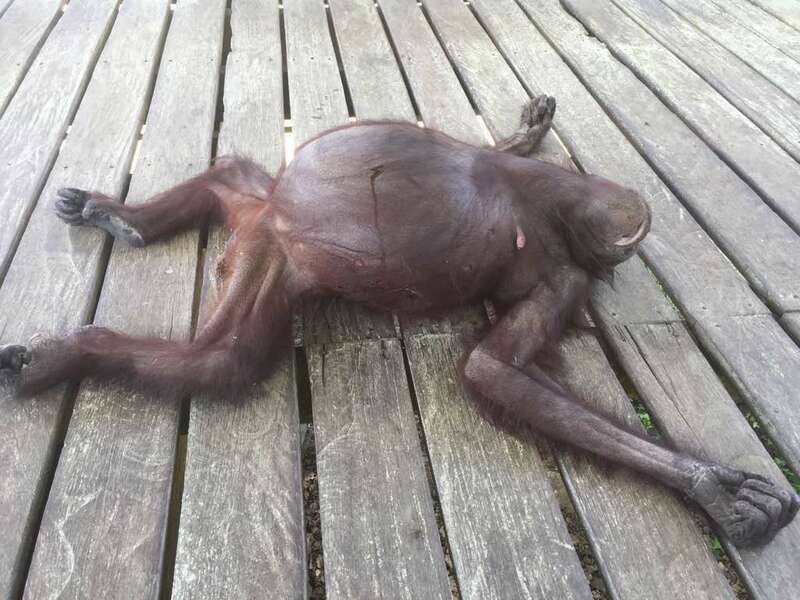 Sabah Wildlife Department (SWD) public relations officer Siti Nur’ain Ampuan Acheh said the department received a report of a carcass of an orang utan that was seen drifting in the river. She said staff from the Kinabatangan Wildlife Office and Honorary Wildlife Wardens from non-governmental organisation HUTAN-Kinabatangan Orangutan Conservation then started a search for the carcass. The search team recovered the carcass the same day about 500 meters from where it was reported to have been seen drifting, she said in a statement yesterday. Siti Nur’ain said the orang utan estimated to be 30 years old had physical wounds on her abdomen, shoulder and foot. She added a police report was lodged and the case was being investigated under Section 25 (1) of the Wildlife Conservation Enactment 1997 for hunting animals listed in Part 1 of Schedule 1. She said the Sabah Wildlife Department urged anyone with information regarding the case to contact the Officer-In-Charge of the Kinabatangan Wildlife Office immediately.